Get the Cross Country Ski Medals for the great skiers on your team! 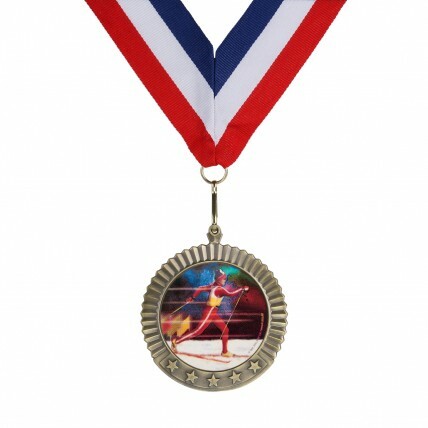 These jumbo-sized medals are 2-3/4" in diameter with a 2", full-color insert. 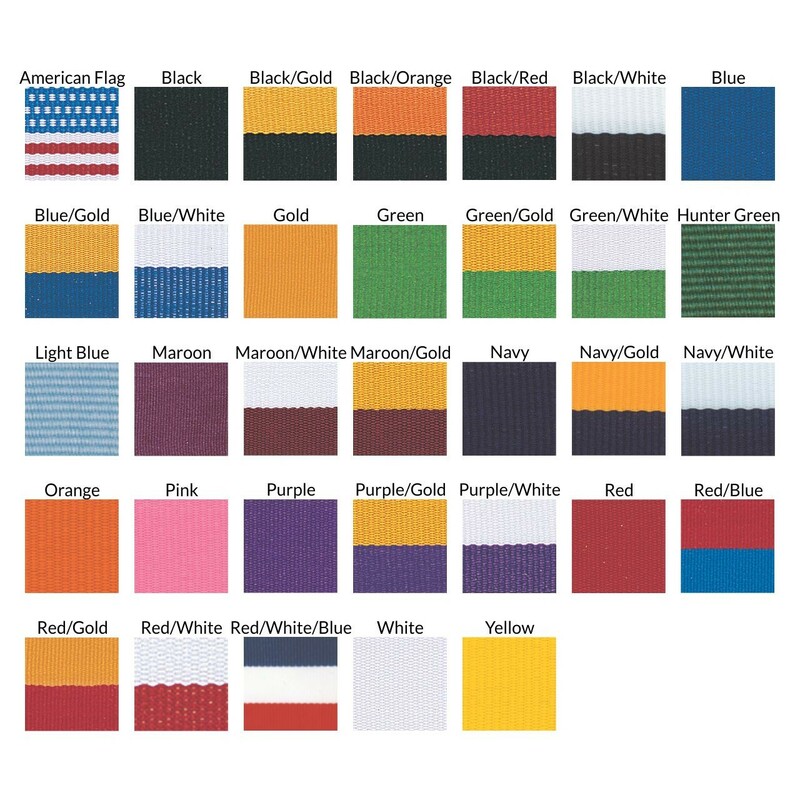 Your choice of gold, silver, or bronze metal and neckdrape color.